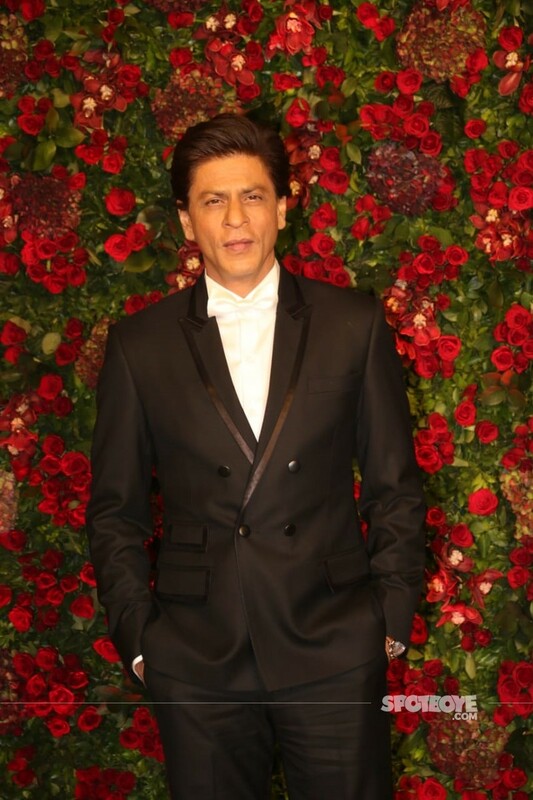 Shah Rukh Khan: Dressed in a black-and-white suit with a bow, SRK looked classy as ever! 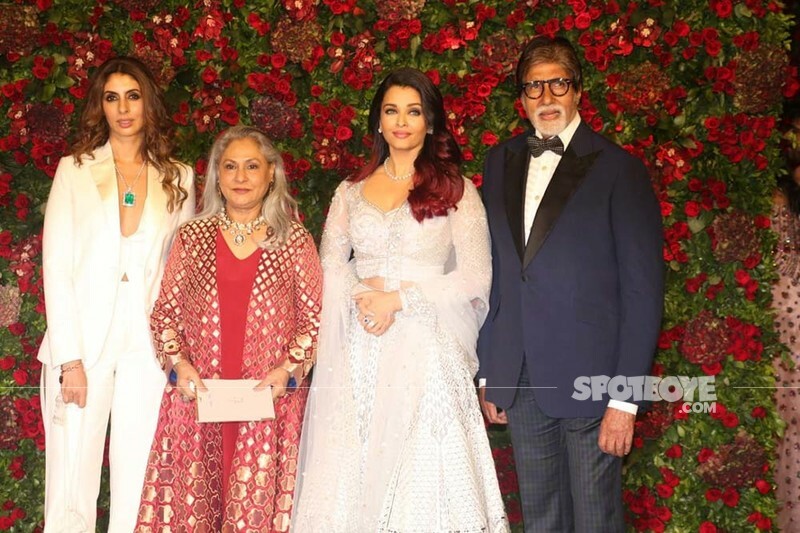 Amitabh Bachchan, Jaya Bachchan, Aishwarya Rai Bachchan and Shweta Bachchan Nanda: The Bachchans came in together, but Abhishek Bachchan was missing from the celebrations. Aish was a vision in a white dress! Madhuri Dixit: Madhuri looked graceful and beautiful in a heavily beaded silver netted saree that she teamed with gold jewellery. 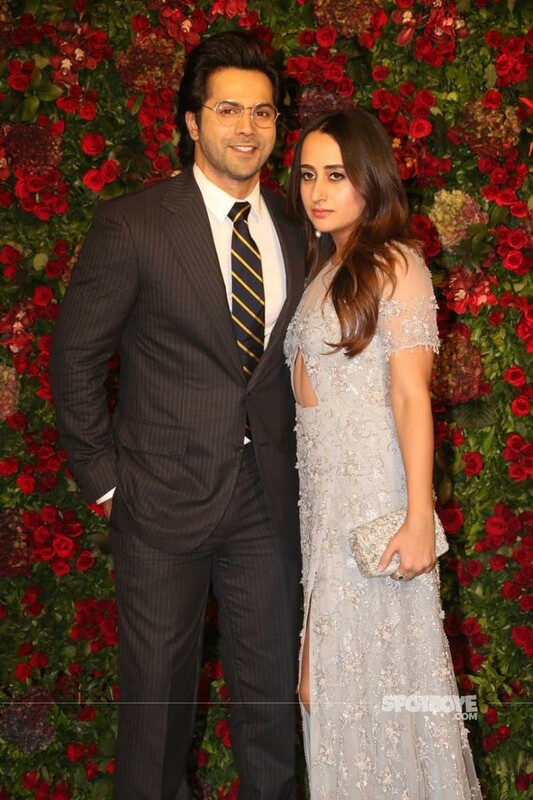 The Khan Daan: Saif Ali Khan came in with the very gorgeous wifey, Kareena Kapoor Khan and Soha Ali Khan arrived with her husband, Kunal Kemmu. 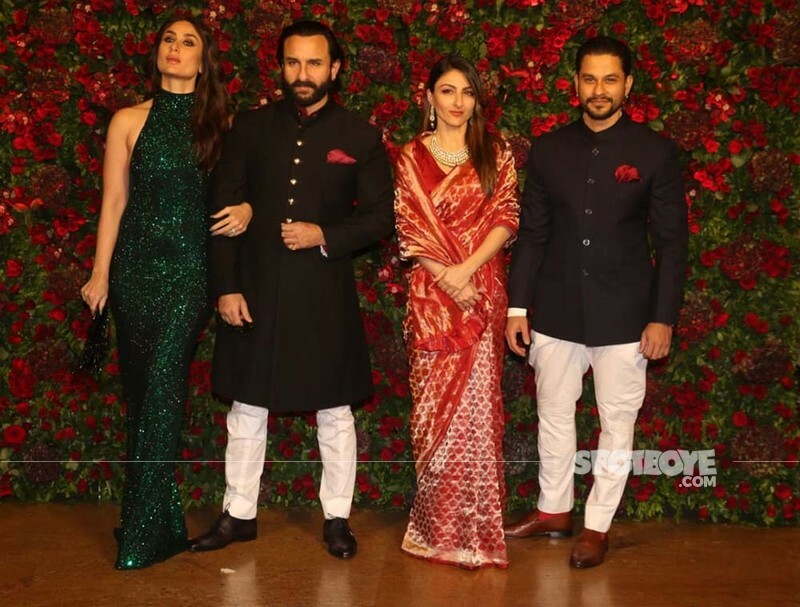 Saif and Kunal chose the black and white kurta combo, while Bebo kept it classy in a dark green dress and Soha chose a red saree. 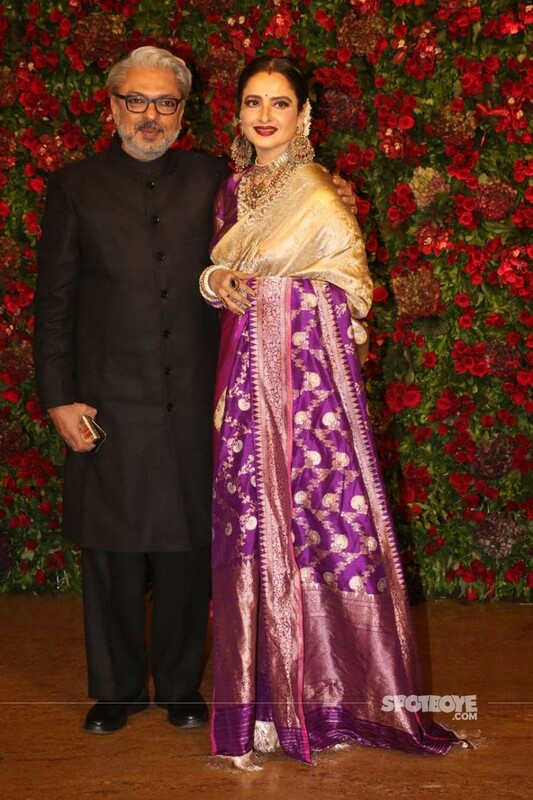 Sanjay Leela Bhansali and Rekha: Filmmaker SLB, the man instrumental behind the love story of DeepVeer, came in and was papped with the ever-beautiful Rekha, who looked radiant in the nine-yard. Hrithik Roshan: Hrithik Roshan opted for a black coat with a bow-tie and blue denims. He looked handsome as ever. Anushka Sharma: Anushka turned up in a mermaid dress and looked every bit, a diva! Katrina Kaif: Katrina Kaif grabbed plenty of attention, thanks to an ex-factor she shares with Deepika Padukone. But nonetheless, she turned up looking gorgeous in a saree. 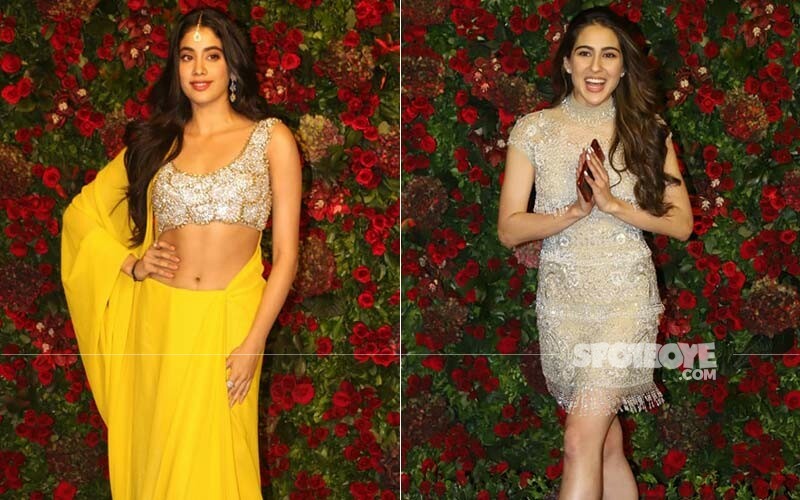 Janhvi Kapoor, Sara Ali Khan: Newbies Janhvi Kapoor and Sara Ali Khan walked in separately of course, but we loved their contrasting attires. While, Janhvi chose a yellow traditional look, Sara opted for a pastel coloured dress. Tiger Shroff, Disha Patani: Rumoured couple, Tiger Shroff and Disha Patani came in together and were inseparable. They were colour-coordinated in shades of white. 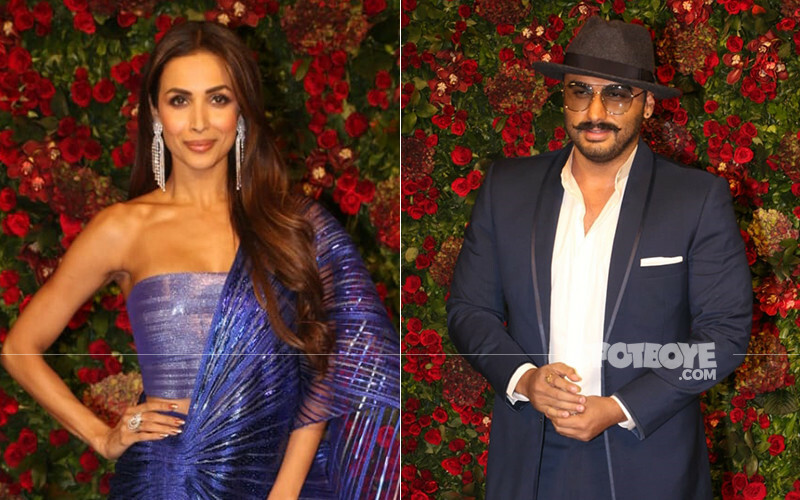 Malaika Arora, Arjun Kapoor: Malaika and Arjun walked in separately, but one couldn’t miss their back-to-back planned entries at the venue. 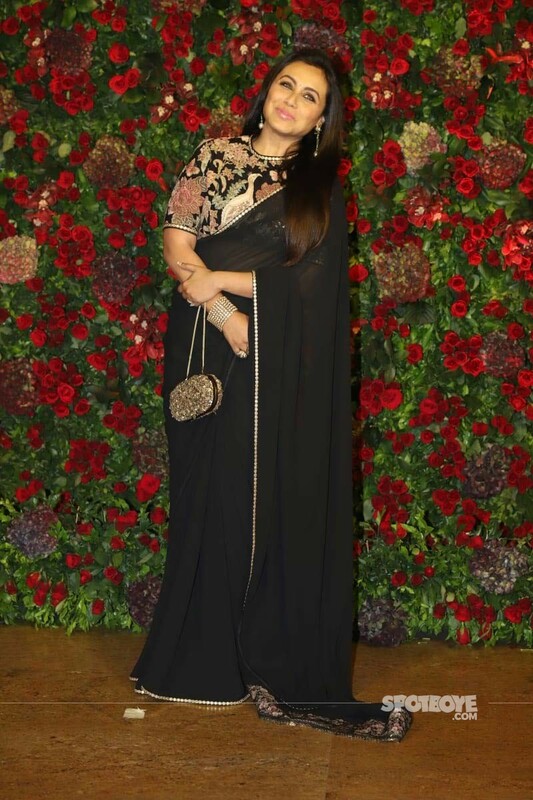 Rani Mukerji: Rani was dressed in a black saree, and we think she looked fairly decent. Farhan Akhtar, Shibani Dandekar: New lovebirds in town, Farhan and Shibani walked hand-in-hand, unabashedly.